The Texas Baptists were awarded “Highest Number of Baptisms” in the country for the third year in a row by the North American Missions Board for the 2017 calendar year. The recorded number of baptisms was 25,451. 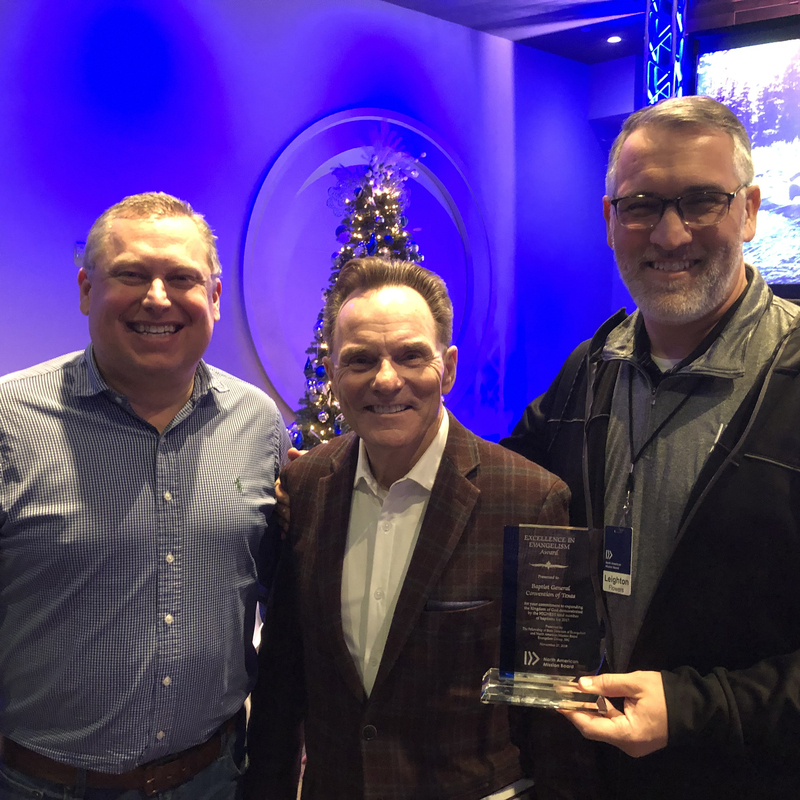 Dr. Leighton Flowers, director of Texas Baptist Evangelism and Apologetics, accepted the award on November 27 in Alpharetta, Georgia. Flowers serves under the Great Commission Team. Flowers said the award represents the work of Baptist ministers throughout the state and the efforts made by local pastors in churches who are reaching their local communities. “Texas has always been on the cutting edge in leadership for the nation as far as best practices in evangelism and apologetics,” he said. “The award just demonstrates that Texas is still leading the nation as far as evangelism and baptisms. Flowers said that servicing a large state like Texas can come with its challenges. In addition to the challenges faced in Texas, there are challenges faced throughout the country. Flowers said he is inspired by the evangelistic efforts of Texas pastors and their churches, but the number of baptisms may be higher than we realize because many small churches do not always submit baptism updates.